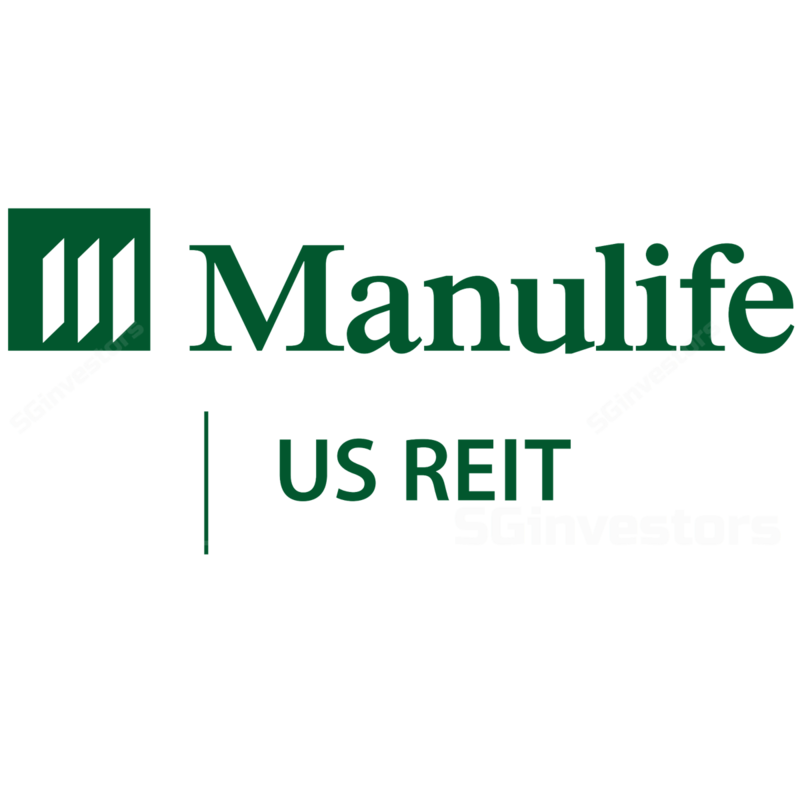 Manulife US Real Estate Inv (MUST) enters agreement to purchase two properties in Washington DC and Atlanta for US$387m. Portfolio resilience strengthened with overall portfolio WALE extended to 6.3 years from 5.7 years. 1.4% DPU accretion but upside risk if MUST secures lower borrowing costs. Maintain BUY, Target Price of US$1.00. for a total purchase price of US$387m which is at a 1.8% discount to two independent valuations by Cushman & Wakefield and Colliers. Penn and Phipps were acquired on a cash NPI yield of 5.2% and 5.9% respectively. Total consideration including acquisition fees (US$2.9m) as well as professional and professional fees (US$9m), amounts to US$398.9m. Penn is a 13-storey Class A freehold office building located a block away from the White House. Constructed in 1964 but renovated between 2012-2018 at a cost of c.US$6m, the building has a total NLA of 277,243 sqft. Occupancy as at 31 December was 97.2%, with a long weighted average lease expiry (WALE) of 6.8 years. The property is predominantly leased (86.2% of tenants) to the US government and global agencies. The two largest tenants are the US Department of Treasury and the United Nations Foundation which contribute 41.7% and 37.4% of gross rental income (GRI) respectively. Near term expiries are limited (0.5% of leases by GRI in 2018 and 0% in 2019) with a large proportion of leases due in 2020 (7.2% of GRI) and 2022 (41.7% of GRI). Leases in the building have inbuilt rental escalations either mid-term or on an annual basis (2-3%). Average gross passing rent for the property stands at US$48.90 psf versus market gross rent of US$55.00 psf. Purchase consideration for the property is US$182m. Phipps is a 19-storey trophy quality office tower with 475,091 sifts of NLA. It is located in Buckhead, which is one of the primary and strongest business districts in Atlanta. Phipps was initially developed by MUST’s sponsor and completed in 2010. The building will be purchased for US$205m and is close to fully occupied (occupancy of 97.3%). Phipps is currently a leasehold property but will be converted into a freehold property in 2 years’ time upon the payment of US$100. The property is initially classified as a leasehold property to gain property tax relief which reduces over time. However, MUST will not be impacted by higher property taxes near term as leases are triple net in nature and borne by the tenants. Key tenants include Carter’s (64.6% of GRI) a major American designer and marketer of children’s apparel listed on the NYSE, Northwestern Mutual (12.6% of GRI) a financial services company, and CoStar (9.9% of GRI) a commercial real estate information and marketing provider. Similar to Penn, Phipps has a long WALE of 10 years with over 90% of leases by NLA and GRI expiring in 2023 and beyond. Majority of the leases have built-in rental escalations typically midterm or periodic, ranging from 1-3% per annum. The property is also under rented with passing net rent of US$22.20 psf vs market net rent of US$30.0 psf. The low passing rents reflects the fact the leases were predominantly signed during the global financial crisis (GFC). In addition, we understand, anchor tenant Carter’s has a break clause that can be triggered in 2025 with a 12-month notice period. However, as we understand their rent is close to Phipps average passing rent, we believe the likelihood for Carter’s to break the lease is low. The acquisition is expected to be funded through a combination of debt as well as perpetual securities or equity. Based on MUST’s assumption of US$176m worth of 4-year fixed debt with c.4.5% interest rate which we judge to be conservative, and US$220m worth of perpetual securities with c.5.9% coupon, a 1.4% accretion to proforma FY17 DPU can be expected. However, MUST would achieve a higher accretion if it is able to secure lower cost of funds. As at 31 December 2017, MUST’s gearing stood at c.34%. Assuming the perpetual securities are treated as 100% equity, gearing will rise to c.36%. However, if 50% of the perpetual securities are treated as debt, gearing would rise to c.42%. Post the acquisitions, MUST’s overall portfolio WALE will be extended to 6.3 years from 5.7 years. Furthermore, Penn and Phipps now contribute c.23% of MUST’s overall portfolio by asset value. Beyond the DPU accretion and income diversification, a key rationale for the acquisition of Penn is the exposure to CBD Washington DC office market, which historically has shown resilience. In addition, the property itself is on Pennsylvania Avenue a preferred address for high profile law firms, global agencies and political think tanks. For Phipps, the Atlanta market, which MUST already has exposure through its Peachtree property, is a growing market given the attractive dynamics for corporates to expand their operations. Atlanta is one of lowest cost cities in the US to do business, has an educated workforce anchored by several universities and is a major transport hub with Hartsfield-Jackson International Airport being the world’s busiest airport. The Buckhead submarket which Phipps is located also has the added benefit of being the strongest submarket with rents having grown by 58.4% since 2012. The CBD Washington DC office market where Penn is located has experienced stable vacancy rates over the past 3 years at around 10% having fallen from 13.2% in 2012. The 10% vacancy rate is lower than 16.6% vacancy rate for the overall Washington DC market. However, rents have been increasing over the past 3 years as the older Grade B and C office buildings are being redeveloped. This has resulted in stock temporarily being taken out of the market and due to the high costs of redevelopment, the owners of these redeveloped buildings have had to push asking rents higher. These high asking rents have also pushed tenants towards Class A buildings such as Penn. Heading into 2018 and beyond, we understand the market is expected to remain relatively stable as there is limited new land available for the development of new office product and demand remains steady. The Buckhead submarket in Atlanta where Phipps is located, traditionally attracts financial institutions and consumer good companies and has the highest rents in Atlanta. In contrast, Midtown where MUST’s other property Peachtree is located, is a market that attracts law firms and tech companies. In terms of market dynamics, Class A rents have been on an upward trend on the back of decline in Class A vacancy rates from over 20.1% in 2012 to 14.8% in 2017. However, over the past year, vacancy increased from 12% in 2016, largely due to a completion of a new building which is now close to 90% leased. Going forward, we understand with healthy demand, vacancy rates are expected to normalise lower with higher rents ahead. We are generally positive on the acquisition due to the DPU accretion, increased resilience of the portfolio as MUST’s WALE has been extended with high quality tenants as well as potential upside in rents given the two properties are under rented. However, we believe some investors may question the relatively low accretion of 1.4% given the 2.2- 2.3% accretion from MUST’s other acquisitions, and assuming 50% of the perpetual securities are treated as debt, gearing would rise to over 40%. For now, given MUST has not finalised the funding for the acquisition and the acquisition is still subject to unitholder approval, we maintain our BUY call, Target Price of US$1.00 and current DPU estimates.